ChangeAbility: What’s Your Change Personality Type? Are you going through a big change in your life? A change that has you feeling either stuck or overwhelmed, or both? Perhaps you’re changing jobs, about to take your relationship or family into the next phase of life, or downsizing where you live. When it comes to making a change or meeting a change that’s come upon us, we humans are creatures of habit. We have coping strategies that tend to meet change in the same way, over and over again. Like it or not, we each have a change type, and whether it’s effective or not, we each have a change personality. What’s your change personality type? Do you recognize yourself in one or more of these approaches to change? If you’re a Planting Your Feet type, you’re slow to make change. Fear of the unknown might cause you to lock down and come to a stand still in resistance to change, or even to the idea of change. This can cause you to feel stuck from time to time, because you’re blocking the movement of change with your own resistance. Because change flows like the river, you might feel that life is passing you by, or you might stay too long in a home, a job, or a relationship. Indeed, you’re reluctant to make change, even when change is knocking down your door. However, you might be an historian, or an old movie buff, or the keeper of the scrapbook and family photos, wanting to cherish and preserve the past, even as the past moves into the future. There are times when a slow and cautious approach to meeting change serves everyone involved, as long as you acknowledge its value. The Planting Your Feet change type is either: loyal or stubborn; sentimental or procrastinating. A Ready, Fire, Aim type is full-steam ahead, even if the plan is half-cooked, or there’s really no plan, at all. This type thrives on change, craving the adventure and excitement of racing into the unknown. This might mean you’ll have to change course, or have a good sense of humor about where you ended up as the unknown takes form. Think about all those cartoon characters who run off the cliff, only to stop in mid-air, look down, and discover they’re about to fall. Your risk-taking might carry you into many positive life changes, or you might look back and regret having acted so quickly. You might change your mind frequently in response to new impulses and seem scattered when one new idea after another catches your attention. You may have difficulty following a strategic plan, or find it dull and boring, but you can certainly energize contagious enthusiasm, and win the admiration of others for your bold courage. The Ready, Fire, Aim change type is either: adventurous or impulsive; enthusiastic or scattered. If you’re an In the Flow change type, you allow yourself to be guided, seeking to align yourself with the movement of change, once you’re able to assess where the flow is going. That flow may not be so obvious, therefore, externally, you’ll seek advice from friends; read your daily horoscope; look for “signs from the universe;” or certainly signs from stock market trends or the latest political polls. Internally, you’ll look to the inner voice of your own intuition to guide you, whether the outcome is popular with others or not. Either way, you observe and gather information before moving with change. As the flow of change shifts, your actions might also need to shift, and this can cause confusion if you don’t have the inner confidence to ride the current of that change of direction. Or, if as you are following the flow, the current changes course too many times, you could appear wishy-washy and overly susceptible to the influence of others. Perhaps, you’re just being highly adaptive. The In the Flow change type is either: adaptable or indecisive; intuitive or overly analytical. If you’re a Stop and Start change type, you move in one of two ways: you build up momentum for change until it’s moving too quickly and then feel the need to bring things to an abrupt stop, or you appear not to be moving, at all, when really you’re ruminating, contemplating, and planning, and then appear to spring forward quickly with your action for change. Either way, there’s a stop and start quality to your movement; either going from overwhelm to stuck, or from stuck to overwhelm. In all cases, doubt, fear, and your discomfort with the speed of change play a large part in your response to change. Sustaining momentum in response to change is key to animating the adaptive qualities you seek. A Stop and Start change type can be either: thoughtful or fearful; ambitious or easily overwhelmed. Recognizing your habitual approach to change can be illuminating, especially if you’re not feeling aligned with how change is moving in your life or with how you might want it to move. If you find yourself in too much stress and overwhelm; seeking new strategies to expand beyond your current responses to change can benefit you in every way. I want to mention one more change type, the ChangeAbility Virtuoso. This change type is able to meet change appropriately to the circumstance, overcome fear and resistance, and navigate change with ease. The ChangeAbility Virtuoso is something I strive to be, and I hope you, too, will want to build the required skills that can help you transcend all the previous, entrenched change types, giving you more overall adaptability and resilience for change. Once you accept the large concept—but simple truth—that change is constant and inevitable you’re ready to build a new tool kit of support for your response to change. You can then develop strategies for overcoming fear and moving past resistance. As a ChangeAbility Virtuoso, you can become adaptable to any change (given that some come more easily than others) and can navigate the changes of your life with more effectiveness, flexibility, and ease. Whichever your change personality might be, there are ways for you to enhance your inherent approach, or to expand into other approaches that might serve you more effectively. Do you want to know more about your ChangeAbility Personality? Take the quiz HERE. 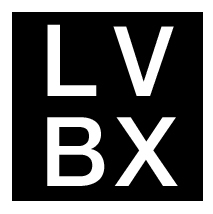 My sincere gratitude to LVBX Contributing Editor Rachel Lang for creating this quiz.